In the heart of the Agnesviertel the traditional brewery "Stüssers" is located. The brewhouse "Stüssers" has been owned since 1904 by three generations of the family Stüsser. Peter Stüsser the first still had an in-house distillery. His specialty was the "Stüsser's Kräuter". The Kräuter as well as the other destilled delicacies (for example vodka, corn schnaps and fruit schnaps) were all recreated with high quality products by Stüsser & Zehnpfennig and offer to our guests. The charme of the house distinguished itself by its rustic and personal atmosphere and kindness. Whether it is only for a tapped Sion Kölsch, a little snack like the "Halve Hahn" (bread with cheese) or for a hearty schnitzel, young or old, celebrities or workingman, tourist or regular - everyone is welcome! 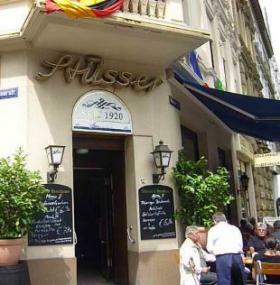 Famous Colognian musician, cabaretists and politicians often meet up at "Stüssers". Come and visit one of the tradition-richest houses in Cologne! Brewery "Stüsser & Zehnpfennig" the legend is still alive! 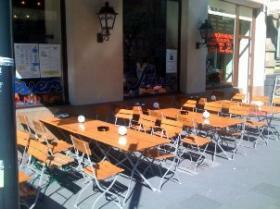 "Kölsche" hospitality combined with the charme of the most beautiful quarter of cologne are offered at Stüsser! Our specialty "Stüsser's Kräuter" can also be bought to take home. We also have homemade white pudding, Flönz, mettwurst and our house baked beer bread with Stüsser's Kräuter Schmalz (lard). Our sauerbraten from the horse made according to an original recipe from Pitsch, Alexianerstrasse, can also be bought in cans. One last word for toursits, please keep in mind that the official language at Stüsser is Kölsch! 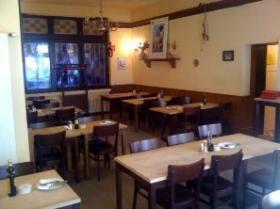 A table reservation or the booking of a menu/ offer is in the "Stüssers" via GlobalGuest always for free you as a guest!